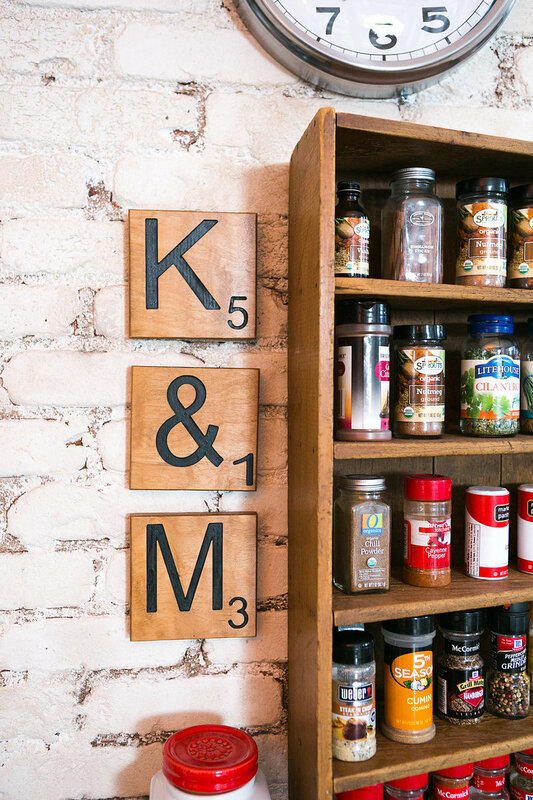 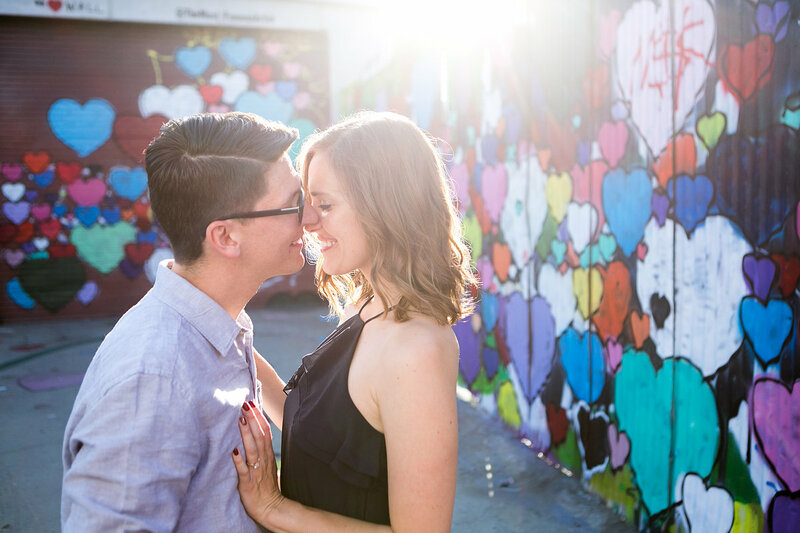 Have you ever met a couple that’s so dang in love, it puts a permanent smile on your face? 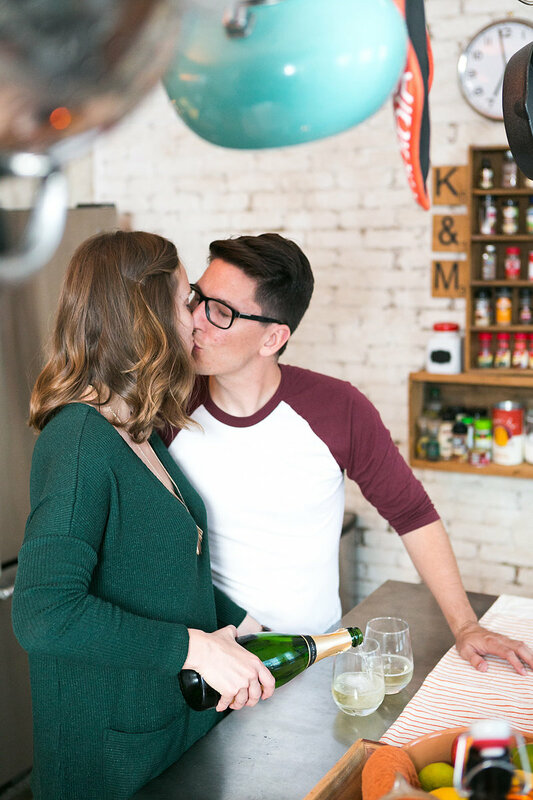 Well, that’s Madeleine and Kevin. 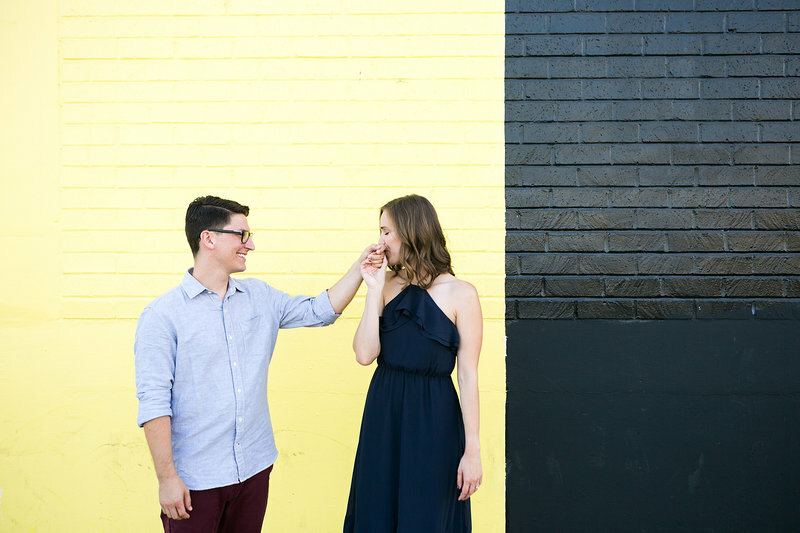 Seriously, these two are the stars of a real-life romantic comedy. 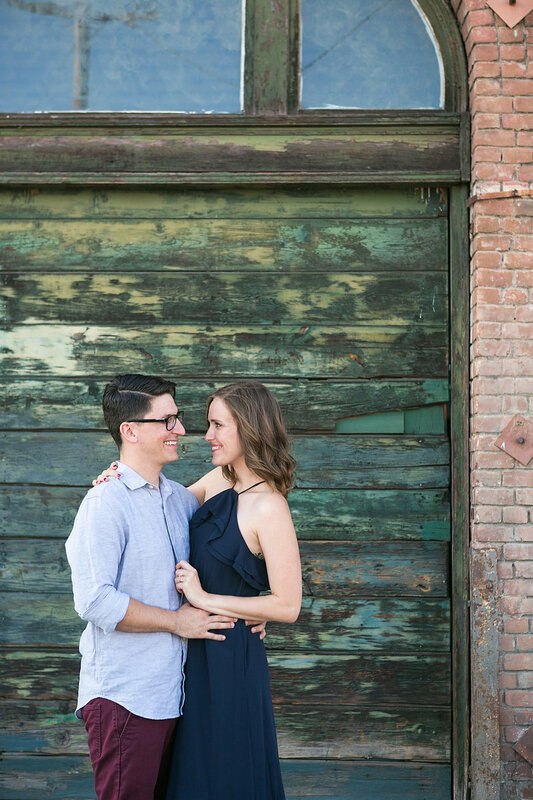 They grew up in the same neighborhood and went to grade school and high school together. 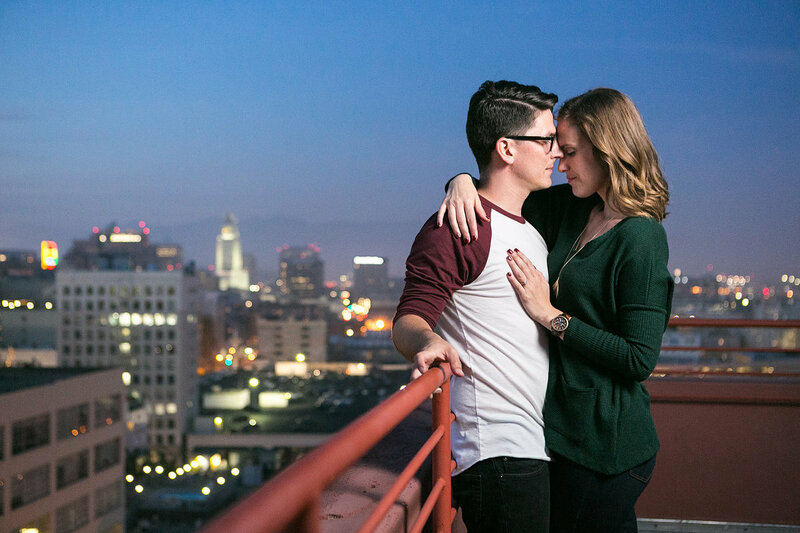 Madeleine was the beautiful girl-next-door, and Kevin was the geeky Star Trek nerd that never got a second glance. 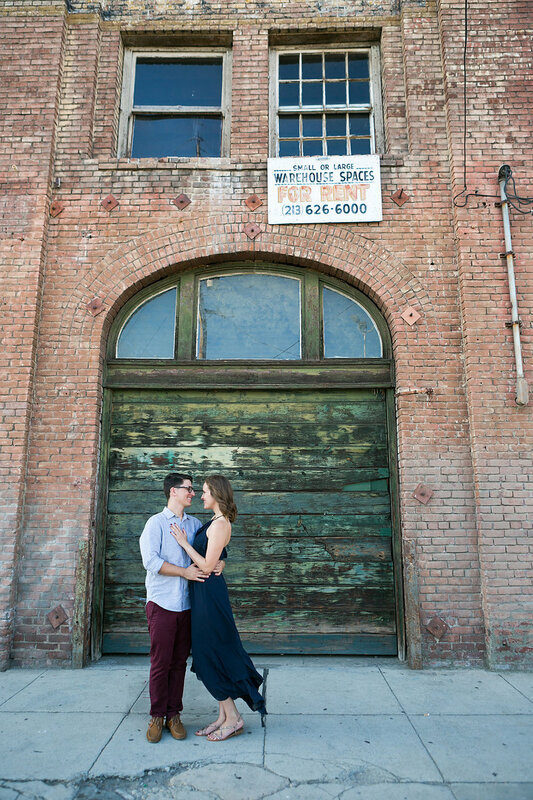 That is, until they re-connected after college ... and sparks flew! 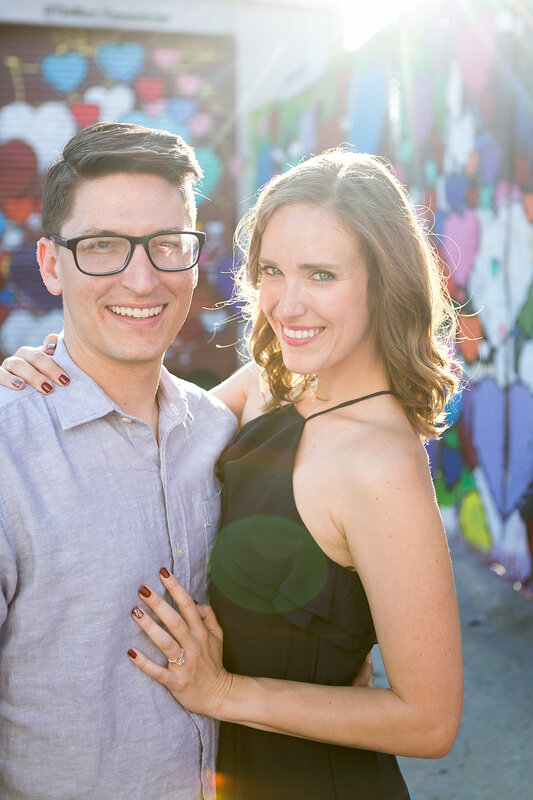 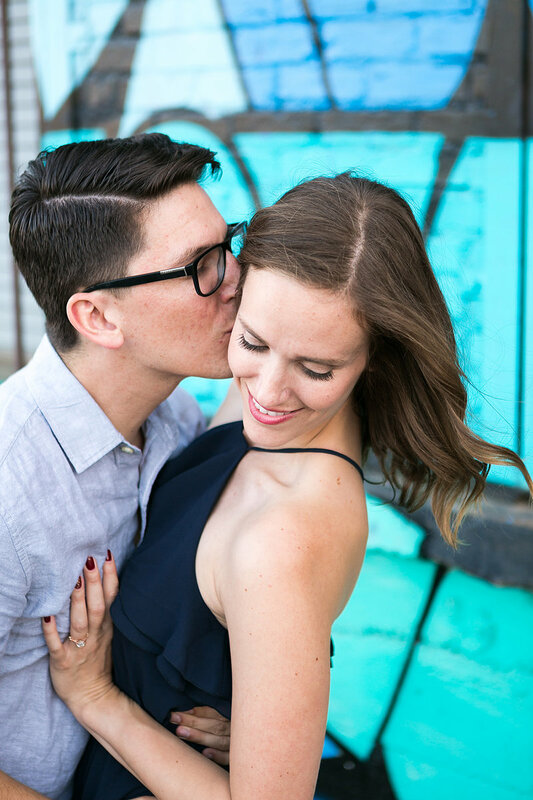 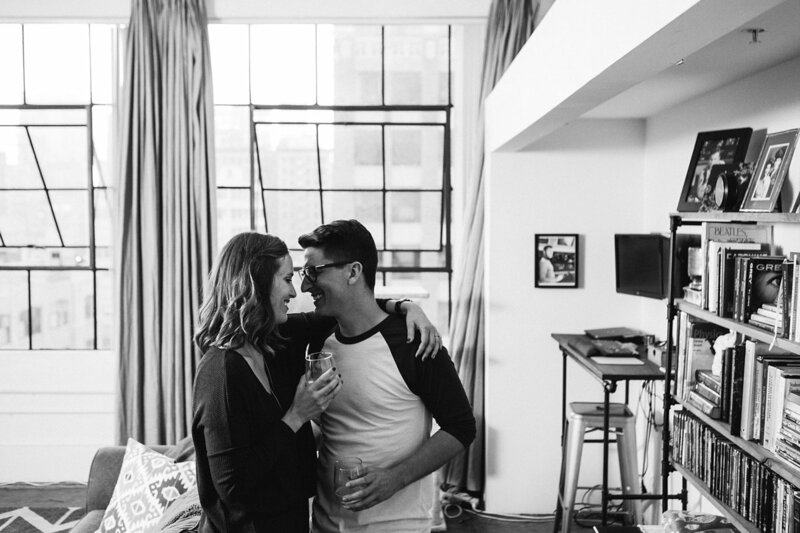 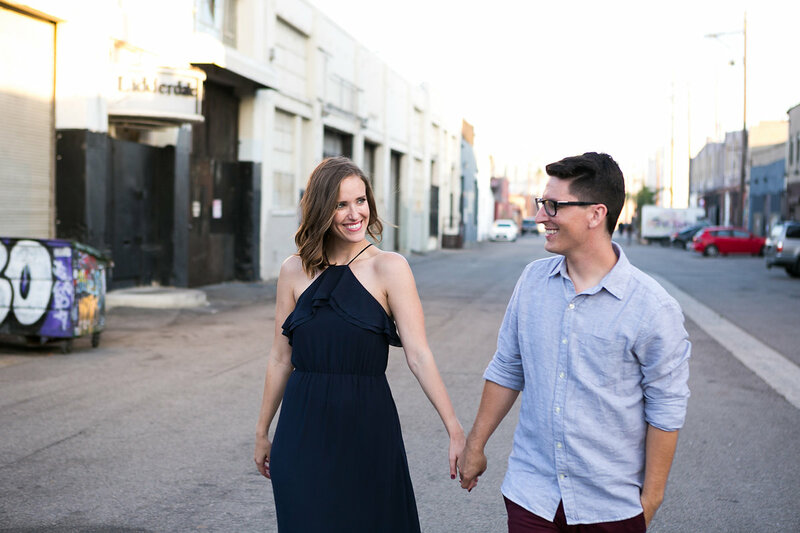 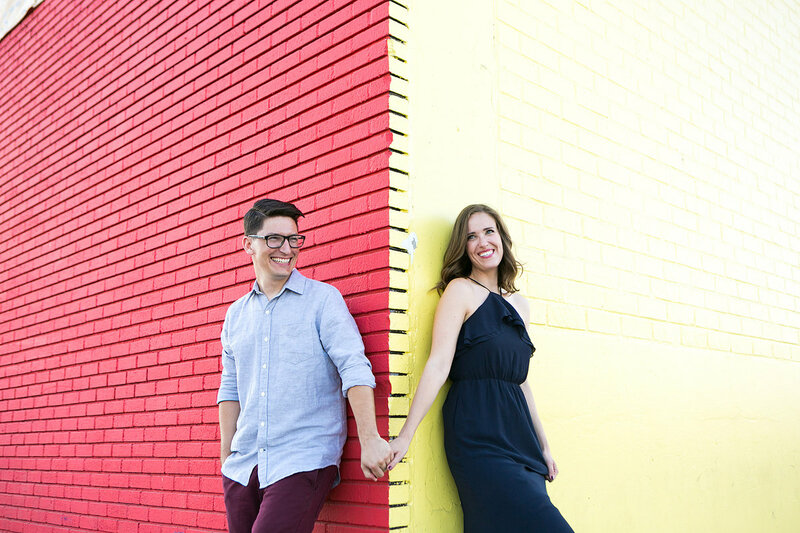 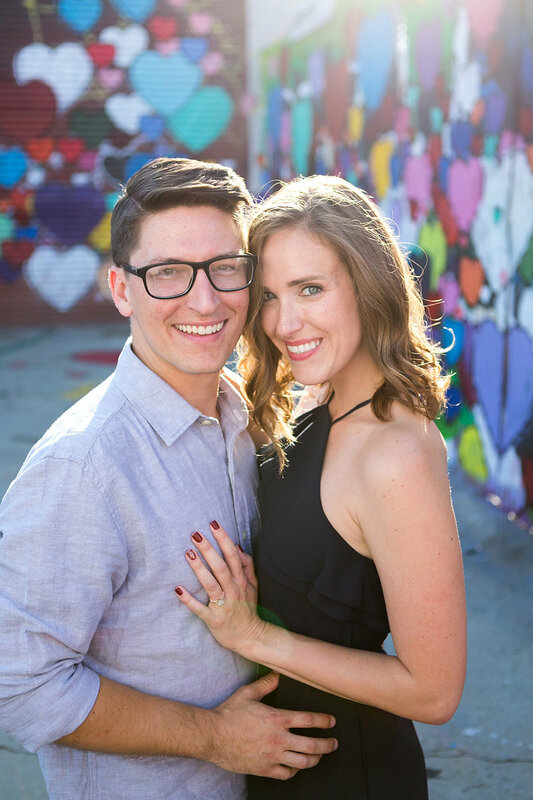 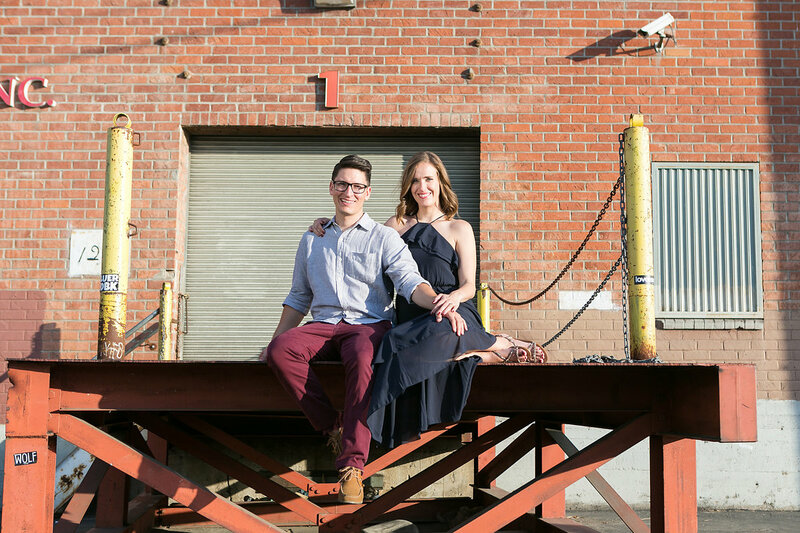 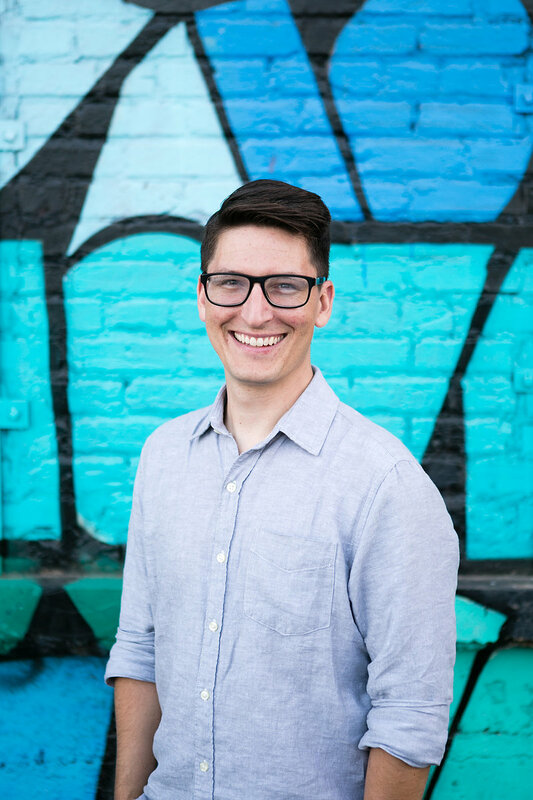 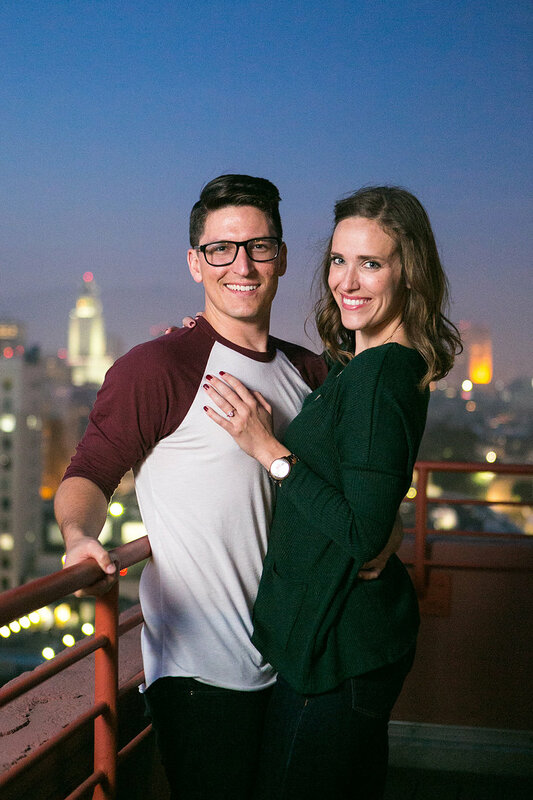 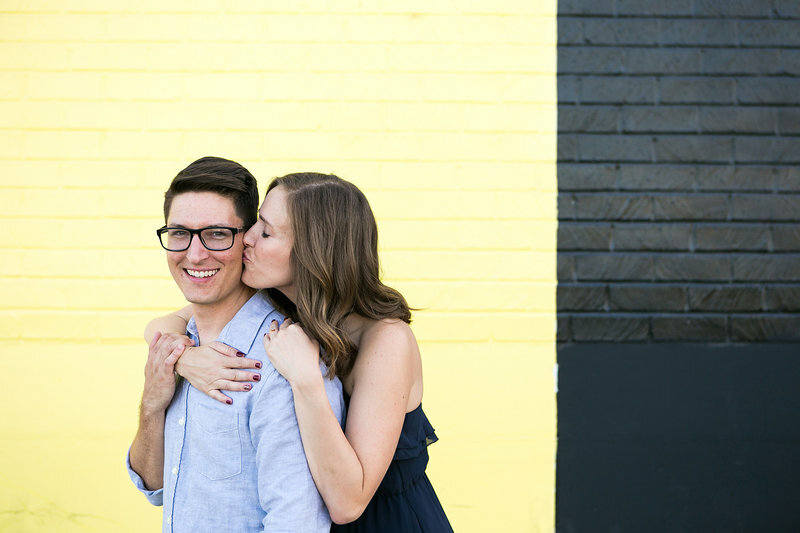 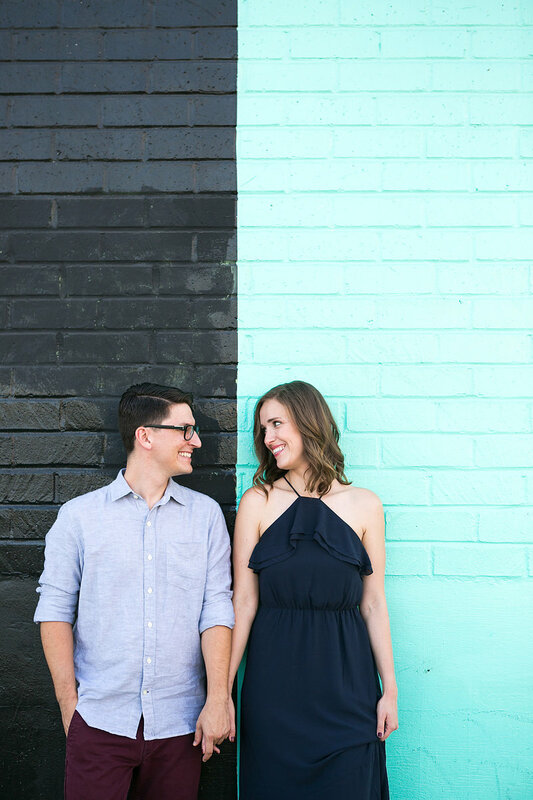 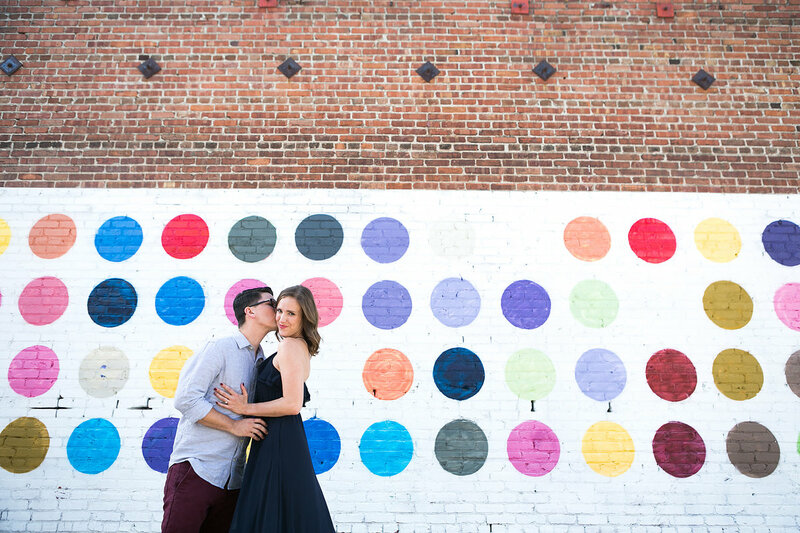 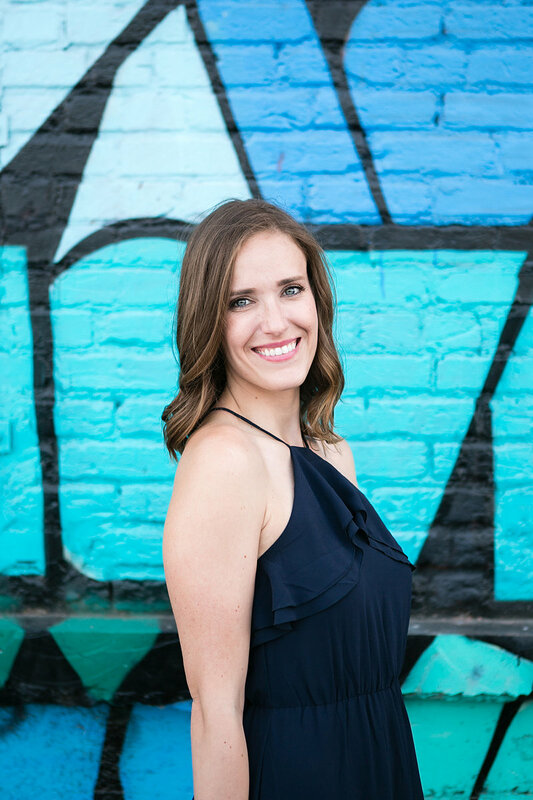 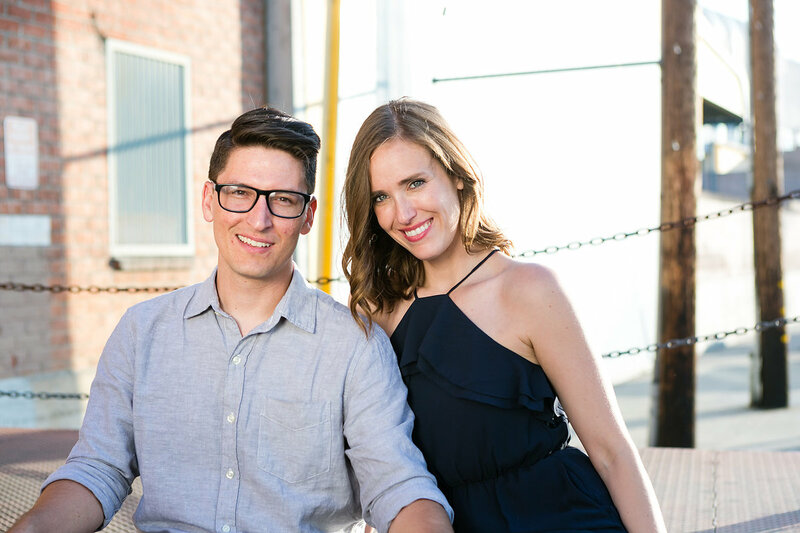 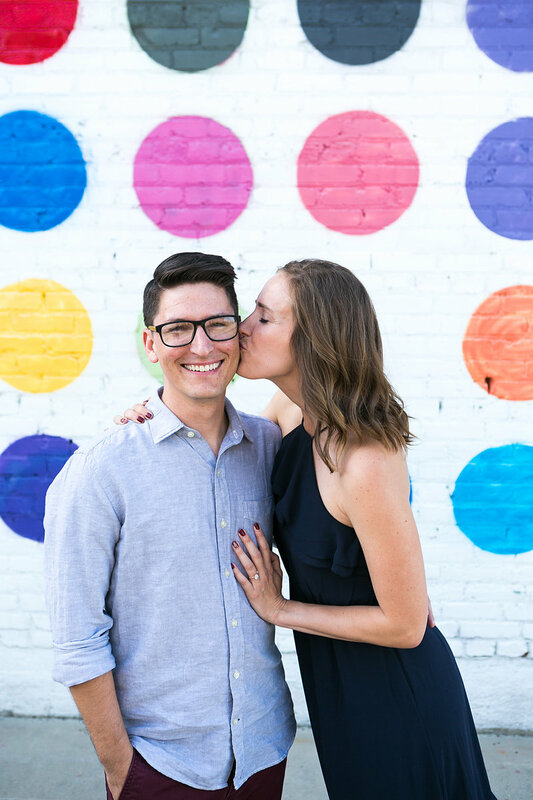 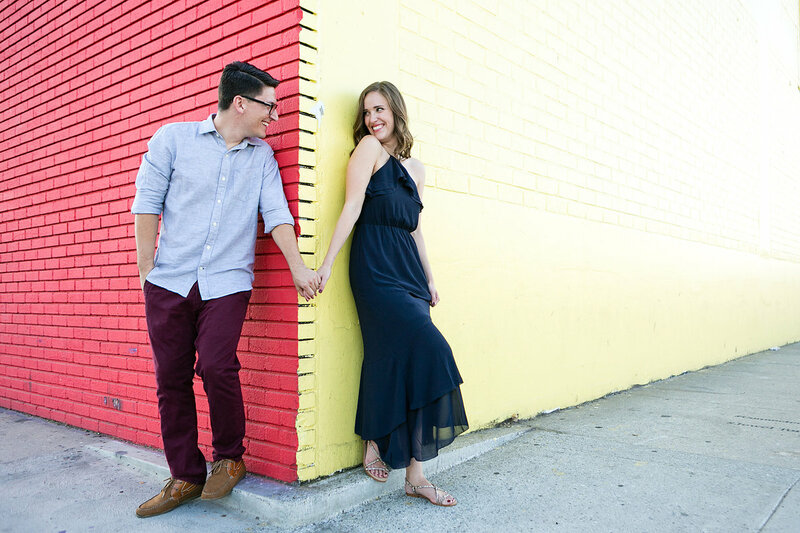 This couple lives in downtown Los Angeles, so their engagement just HAD to be in the nearby Arts District. 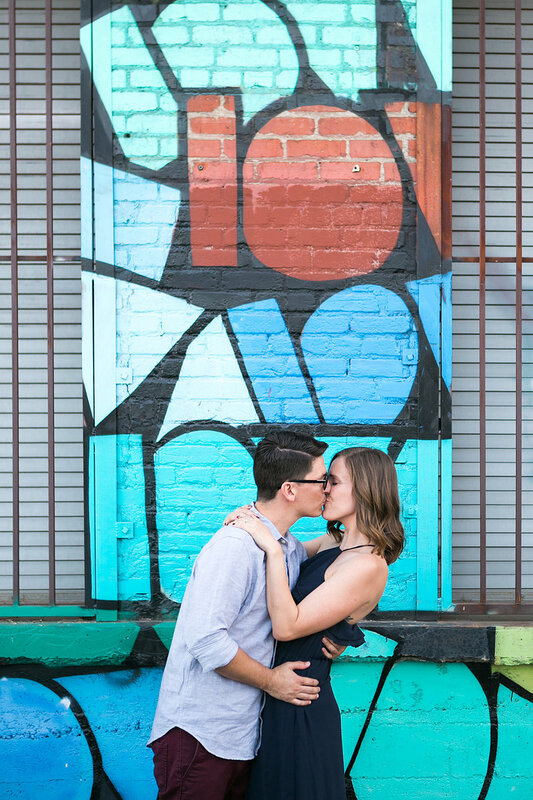 We walked the streets seeking murals as bright and colorful as these two incredible cats. 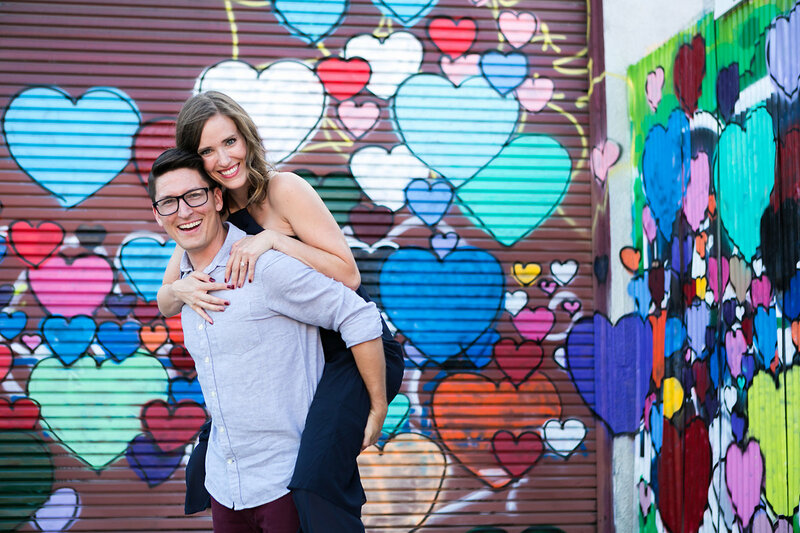 We were so excited to find the heart wall featured above. 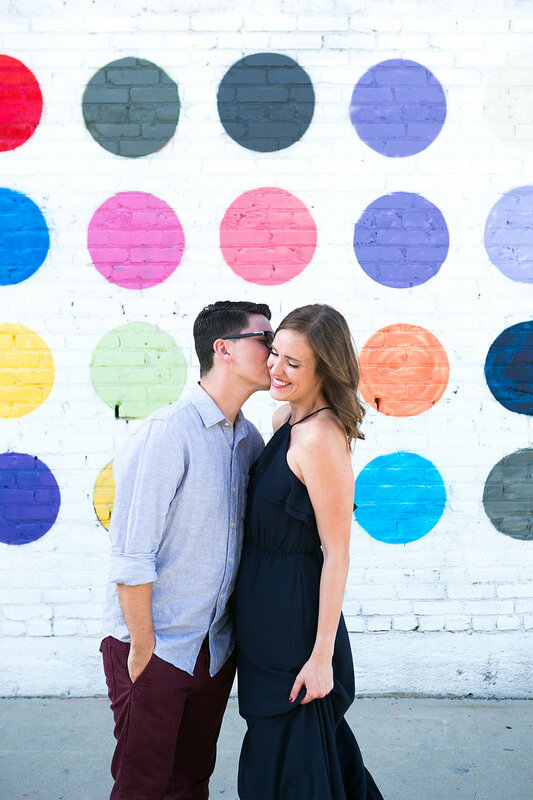 It's the embodiment of just how awesome these two are … totally in love, with hearts radiant and bursting with color!